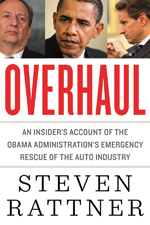 On MSNBC’s Morning Joe today, Steven Rattner presented charts debunking Trump’s false claims about the labor market. 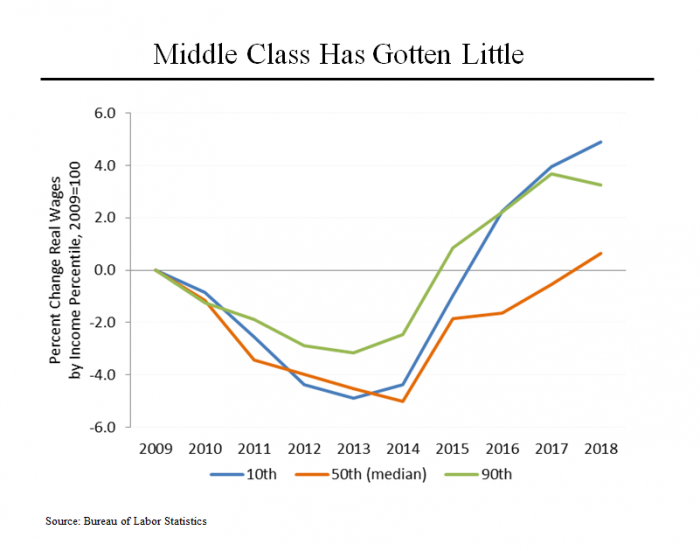 President Trump asserted in a video Saturday that wages have started to go up “for the first time in many years.” The notion that the state of America’s workers has improved meaningfully during the Trump administration is simply not true. 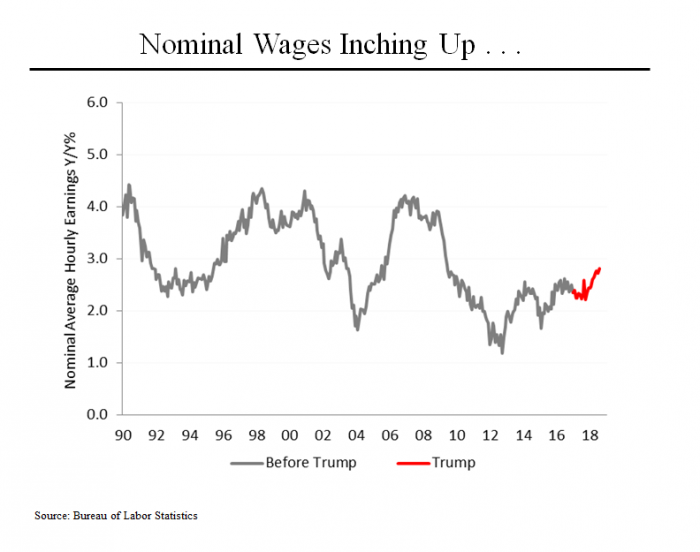 It is true that nominal wages – ie., before adjusting for inflation – have been rising a bit more quickly than they did in the aftermath of the financial crisis. 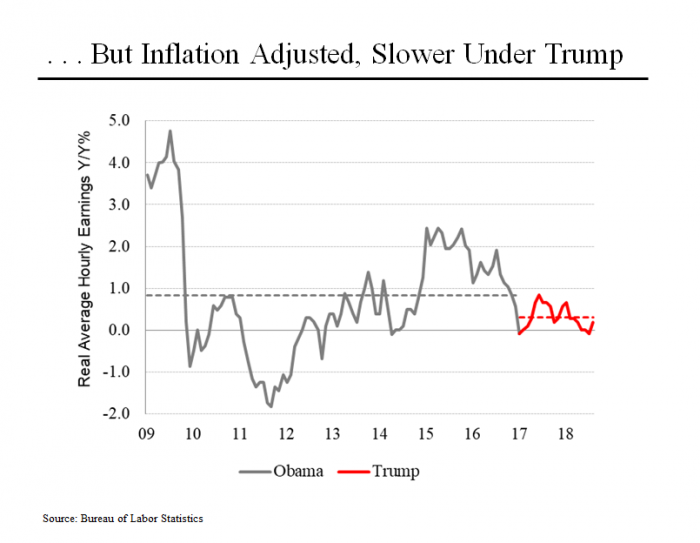 But when adjusted for the fact that inflation has also been increasing, real wages (that is, after adjusting for inflation) have actually gone up more slowly during the Trump administration than they did under President Obama (0.8% per year under Obama; 0.3% annually under Trump). In fact, most recently, real wages were flat in May and June, declined by 0.1% in July and rose by a paltry 0.2% in August, all compared to the previous year. A point unrecognized by the Trump Administration is that within these aggregate wage numbers, there are some winners and losers. Since the beginning of 2009, when the economic recovery got underway, real wages for the top 10% of Americans have risen by 3.3%. Surprisingly, wages for the bottom 10% have risen even faster, by 4.9%. That’s because in 2017, 14 states and the District of Columbia raised their minimum wages and the minimum wage in 7 additional states went up automatically due to indexation. Between 2013 and 2017, wages in states where the minimum wage went up rose by 5.2%, compared to 2.2% in other states. None of that, of course, has anything to do with the Trump administration, which has done nothing to raise the Federal minimum wage. Importantly, the losers in this picture have been the members of the middle class, many of them presumably Trump supporters. Their real wages are essentially unchanged from where they were almost a decade ago. President Trump also asserted that many Americans are working “2 and 3 jobs.” That’s also not true (although many Americans may believe it to be so.) 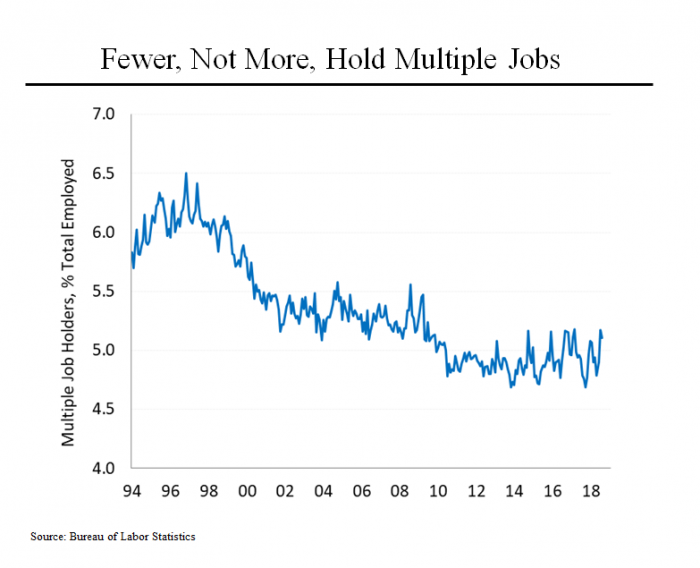 In fact, the data shows that the percentage of Americans holding multiple jobs began declining in the late 1990s and has been flat since about 2010, at just 5.1% of the working population.